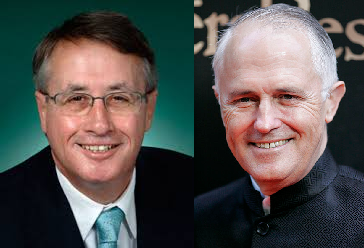 Wayne Swan and Malcolm Turnbull crossed party lines this morning to speak at an Australian Republican Movement function in Canberra to launch a new book, Project Republic, edited by the eminent historian Assoc Prof Mark McKenna and long-time IA contributor Dr Benjamin Thomas Jones. Also featuring forewards by Turnbull and Swan, the book includes essays from a host of high profile Australians, including Thomas Keneally, Julian Morrow, Dr Henry Reynolds, Prof Larissa Behrendt, Prof John Hirst, Prof Helen Irving, Prof John Warhurst and Prof George Williams, amongst many others. Project Republic: Plans and Arguments for a New Australia is published by Black Inc and includes a chapter by IA managing editor David Donovan on how best to achieve an Australian Republic. In the following lightly edited excerpt from his chapter, David Donovan talks about the thorny issue of creating a model for an Australian Republic and comes up with a novel solution — the bee-sting clause. REPUBLICANS – and more particularly the major Australian republican lobby group, the Australian Republican Movement – can learn a very important lesson from the 1967 “Indigenous” referendum, in which the Constitution was changed in two places in which Aborigines were mentioned. The referendum was carried with a majority of 90.77 per cent, and was seen by many as a long overdue repudiation by the public of the White Australia Policy. The referendum was carried by such an overwhelming majority that we can assume that it had become seen as socially unacceptable to be racist towards Indigenous Australians. We need to be aiming for the same sort of result with the next referendum on an Australian Republic, whenever it is held. Put bluntly, an Australian Republic will be close when it becomes the case that supporting our foreign monarchy is so outré that it is unseemly to mention it in polite company. The ARM has a lot of work to do. A lot of work — but in a task that is eminently achievable. A concerted effort, and change of focus, by republicans can and should be able to turn around public opinion in a relatively short period of time. This is because the main arguments for an Australian republic are strong, and the arguments in favour of keeping the Crown are relatively weak. One of the first things the Australian Republican Movement should do is to fix upon a model for the new Republic. Without fixing on a model, the ARM looks like it hasn’t thought the issue through. With a model, republicans have something very real and tangible to use in their campaign. It must be remembered, here, that republicans were traumatised by the events of 1999, when Republicans dissatisfied with the model on offer sided with monarchists to help bring down the referendum. Since then, to keep all sides happy, the ARM has put forward an array of different republican models which could work well in Australian Republic— at one stage six models were included in the ARM policy, though in 2010 this was reduced to four. The policy advocates an indicative plebiscite on whether Australia should become a Republic first, then community discussion about the form the republic would take, then another plebiscite to fix on the model, then, finally, a referendum on the most popular model against the status quo. Frankly, this policy is a clumsy and impracticable compromise that satisfies no-one. Firstly, in terms of building community support, it is too complicated to be easily communicated to the Australian people — as the ARM’s former media director, I can certainly attest to that. Secondly, it suggests a lack of decisiveness by republicans. It is impossible for the ARM to look positive and strong, and thereby gain the trust and respect of the Australian people, when it dithers and looks wishy washy on this key issue. Thirdly, engaging the community’s attention in an elongated campaign such as this would require holds no appeal for politicians, as they know the shortness of the Australian public’s attention. Finally, the process provides for three risky votes — at any of which the proposal could fall over. The choice of model is the elephant in the room that Australian republicans refuse to engage, afraid it will splinter the Movement and provide ammunition for monarchists to launch the mother of all scare campaigns about whichever model was chosen — as they surely would. Nevertheless, over a decade now after the referendum defeat, this issue must be confronted head on and a choice must be made if the republican cause is ever to progress and not fade away as an issue as it did around the time of Federation. In fact, it is an easy decision to make — and nowhere near as scary and dangerous as still traumatised republicans believe. When people speak of Republican models, what they are really talking about is the selection method — and there is really only a choice of two: one in which the President is selected by politicians, or one in which he or she is directly elected by the public. All discussion about hybrid models, electoral colleges, constitutional councils, or whether the President should be selected by Parliament or the PM, and so on, is rather superfluous detail that serves merely to cloud this fundamental decision. The model put to the people in 1999 was based on the current system, in which the politicians select the Governor-General. Republicans simply need to decide whether they want to put that model again to the people or take the plunge on direct election. It might seem obvious, given the events of 1999, that the ARM should select the direct election model. The other model was clearly unpopular with the public then and direct election, according to all polls on the subject, has routinely beaten this option ever since. In fact, an analysis of the Australian Referendum Survey conducted in 1999 shows that direct election was decidedly more popular and that, if a reasonable direct-election proposal was put to the people then, it would have been supported by a significant-to-substantial majority of voters for every party. Furthermore, it showed that a fracturing of support for the Republic would be minimal, with only 5 per cent of people being parliamentary appointment or nothing, while direct election or nothing was at more than 30 per cent. Clearly, Australians want a say in who their head of state will be, and so the ARM should give it to them. The reason they don’t is because of two factors. Firstly, there is a loud and influential minority of ARM members (probably about 5 per cent of the total) who still advocate vocally for parliamentary appointment. Secondly, and more importantly, a directly elected head of state is unpopular amongst politicians of both sides, as they worry that a directly elected head of state would be given a mandate and thereby become an alternative source of power to themselves. As a result, the ARM is fearful that if it proposes a direct election model ‒ which it knows is the only method with any realistic chance of success ‒ politicians may refuse to progress the issue. This Catch-22 situation has led to the current, unsatisfactory, workaround policy of advocating a convoluted series of votes on the issue. Unfortunately, until republicans decide upon the direct election model, they will be almost certainly unable to garner the widespread community support necessary for politicians to contemplate progressing the issue again. Prime Minister Julia Gillard herself has said that republicans need to decide upon the model before anything will happen. The answer, luckily, is simple and clear. To counter politicians’ fears that a directly elected president would be given a mandate to exercise his or her powers, a ‘bee-sting’ clause for the head of state should be advocated as well. That is, a president would only be able to exercise his or her powers once and would instantly be dismissed if he or she did. So, for example, if the President decided to sack the Prime Minister for some reason, then the president would lose his or her job as well — and then need to stand for re-election against other contenders. This would negate any sense of presidential mandate, apart from to act in the overwhelming interest of the nation. The mandate argument could be entirely extinguished by additionally making it a requirement that any decision by the president would be merely provisional upon a vote by the people. That is, before being effective, the people must vote on the president’s decision. The Governor-General’s reserve powers have only been used on four occasions in Australia’s 112 year history, including the 1975 dismissal of the Whitlam Government. There is no reason to expect that an Australian Republic in which the directly elected president has only one shot in the chamber would cause this number to increase at an increased rate. The Australian head of state would, in effect, be a mostly ceremonial role in which a popular figure would be able to promote Australia’s interests around the world — something the Queen is totally unable to do for this country, but which she and her family energetically do for Britain. So, with the selection method determined, the ARM must use the considerable talent at its disposal to fill in all the detail, including writing the specific amendments to the Constitution, the referendum question, explanatory documents and detail the suggested process and timeline for becoming a republic. Having done all this work pro bono for the Government, it would seem more likely that it would accept the ARM’s proposal. However, the ARM must first build support and passion in the community for an Australian republic – show them that it will be a vote-bringer – before the Government is likely to bring a new Republican referendum before the people.